Whether one is discussing cardiovascular or cancer prevention, doctors now know that those diseases do not begin with heart attacks or tumors. Instead, both conditions develop over time and that trying to catch them early is the way to go. Unfortunately, many in the medical profession are tuned to treat diseases and do not pay much attention to prevention. Tropical fruits. 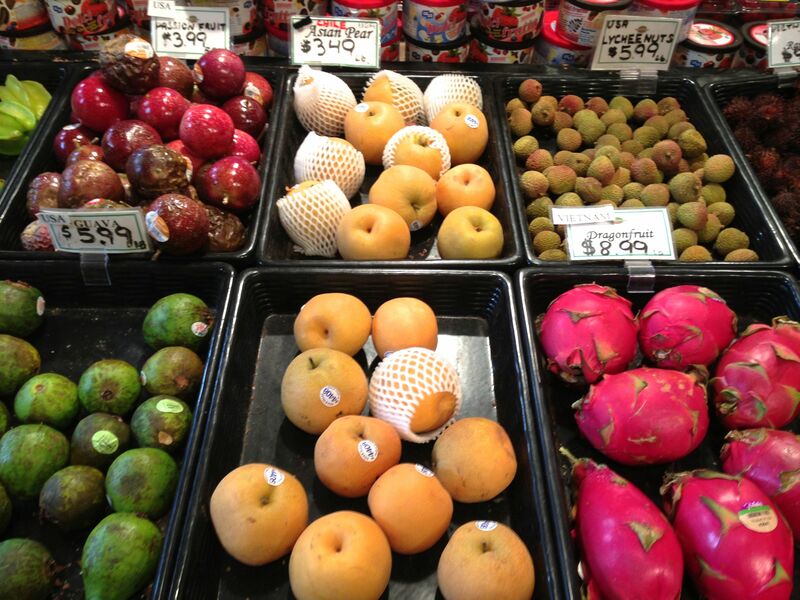 Start at upper right and go cw: dragon fruit, Asian pear, guava, star fruit (upper left corner), passion fruit (red) , lychee nuts and rambutin. In both cases, the factors that cause trouble are multiple and often begin with genetics. Many environmental risk factors have been identified already, but others are yet unknown. In the cancer field, for example, we know about the risks of carcinogens in tobacco smoke. There are hundreds of chemicals in tobacco smoke, either inhaled or second hand. In the cardiovascular field we know about the risks of obesity, saturated fats, cholesterol and high blood pressure, for example. 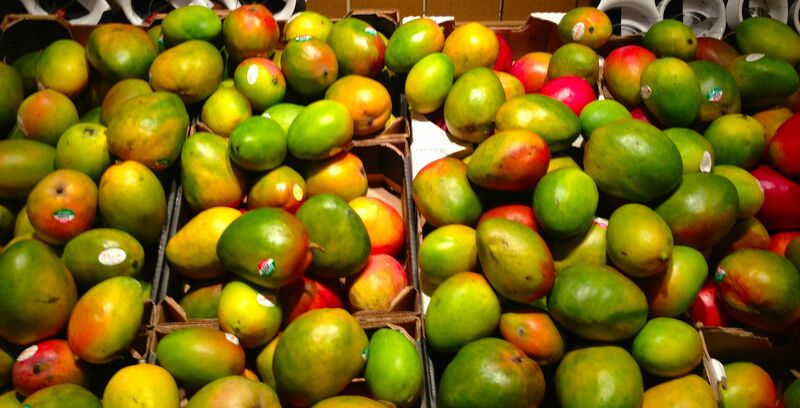 Mango from Mexico is $1.99 per pound, but they are so big that it takes two to mango. But fresh fruits and vegetables are good for everybody as part of a prevention program. Which brings me to July in Jersey. That is the time. 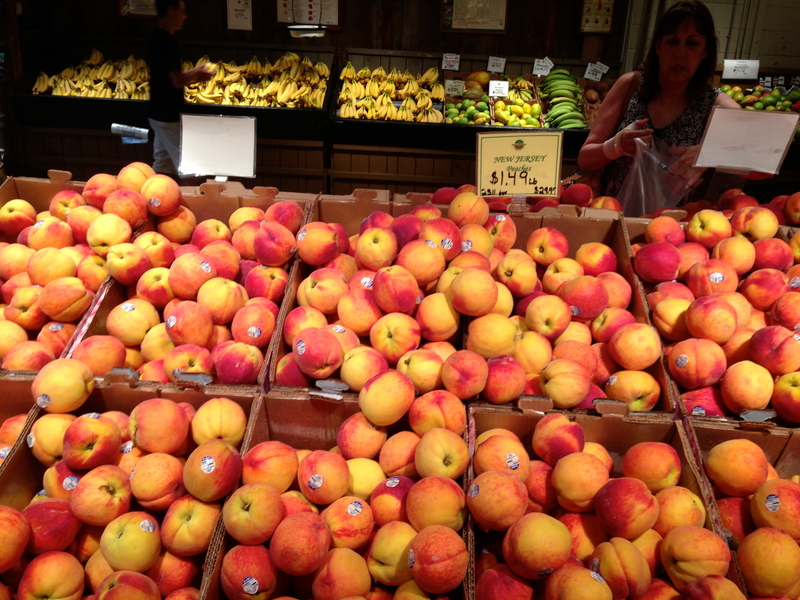 If you go to Wegmans or Delicious Orchards, the selections are amazing, and you can find good produce elsewhere as well. 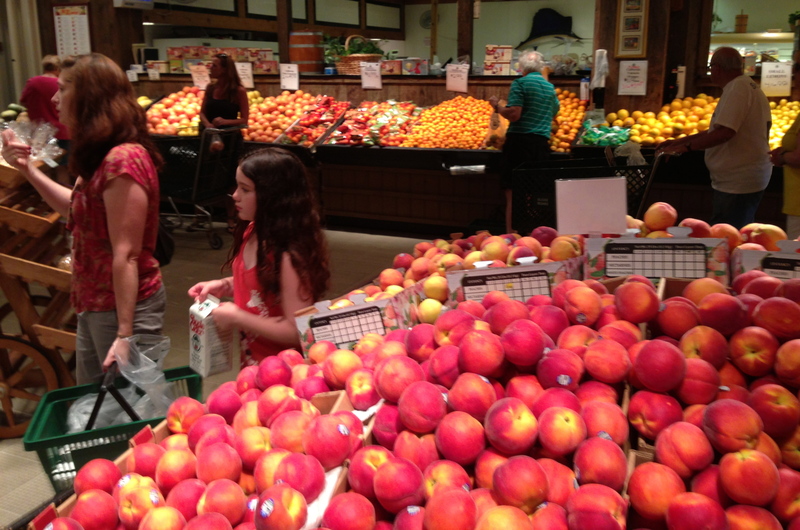 We are lucky to have a plethora of fresh produce in stores and at local farmers’ markets. Delicious Orchards is at 320 Rt. 34 in Colts Neck. Just head north on 18 and get off at 34 north, and it’s just up the road on the left. It is worth the visit. They have an incredible array of produce. Other strong points include dried fruits, coffee, meats, chocolate, and pies. They have a nice outdoor cafe for food, smoothies and drink. Take advantage of the Garden State’s advantages in season and teach your family how to enjoy fresh fruits and vegetables as part of a heart-healthy life style. Once again, in June, Wegmans has created their famous fresh peach muffins with icing. They really are good, but they are high in calories (about 500) and loaded with carbs (sugar and flour.) Officially we do not recommend these, but……. Delicious Orchards is a local oddity I’ve never encountered anywhere else in this country, and their produce selection is amazing. They regularly get uncommon items you won’t see in Wegmans, such as orange flesh Honeydew.